Twinkling Paper Studio: July 2018 Altenew Blog Hop Winner! 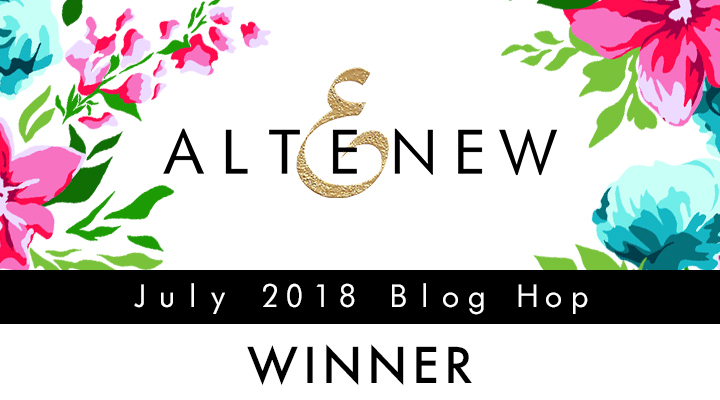 July 2018 Altenew Blog Hop Winner! I am so sorry to be so late posting this and you will need to hurry to claim your prize. I just got unlimited Internet service back and my previous post was the first one since our move at the end of May that I have been able to include product links for you! Please contact Altenew at winner@altenew.com by 8/10/2018 with the subject line Altenew July 2018 Stamp/Die Release Blog Hop Winner from Vicki Finger's Blog! Don't delay! I want you to get your prize!! Thank you all so much for your encouraging comments! I really appreciate them so much! Congratulations Teresa Doyle, enjoy your prize. Oh my goodness Vicki, thank you SO much. I am just seeing this now... I'll email Altenew right away! Altenew ECP - Let It Shine!